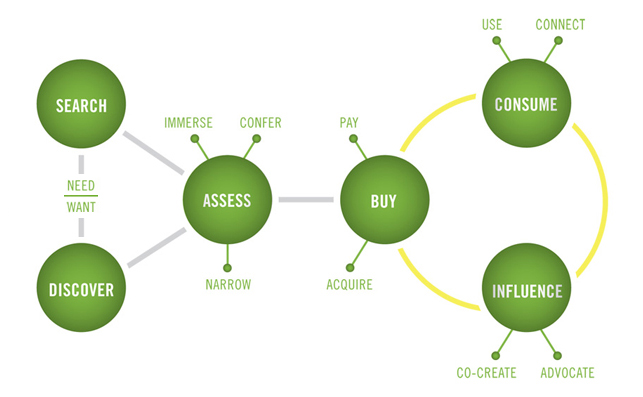 We recently looked at what sourcing used to be, and then examined how it‘s evolved. But it could be so much more, and it will. Let’s peek into the crystal ball of the not-too distant future of sourcing. As much as some of us may not like to admit it, we spend most of our cognizant lives as consumers. We buy products and services, and trade money, time and energy in exchange for items of perceived value. This is also true in the world of work. Many of our clients and employees as well as our prospective clients and employees are all connected to each other in a myriad of socio-economic circles. The sooner we realize this, the better the candidate experience will become. Sourcing is becoming more and more a part of that experience. In any modern sales organization, we don’t think twice about paying for a Client Relationship Management or CRM platform. But candidate relationship management is generally considered a luxury in talent acquisition today. These tools, or at least the functionality of these tools, I predict will become mandated and mainstream in the next 3-5 years. Whether branded, unbranded, user-generated/moderated or managed by an organization, our prospective candidate lists are becoming more organic and dynamic, and less of a static spreadsheet or database. This is taking the form of talent communities, or networks like TalentCircles. Now, this isn’t your 1999 “talent community” which was basically a glorified database. We’re talking about interaction and discussion, knowledge sharing and distribution. A place where people can actually have conversations and learn about the real employee experience, via private and public messages or video chat. More and more, these platforms will offer a way to foster relationships regardless of geographical distance, over the span of a few months or years during a candidate’s career. Just remember that a micromanaged community will look like a predatory watering hole near the Serengeti. And an unmanaged community or network will fall as flat as a dance club without a DJ to keep the crowd moving. The ideal balance is somewhere in the middle, depending on your audience. With the skills gap ever yawning, the emphasis will continue to be on attitude, personality and train-ability over specific skills. But how do you source for someone who thinks like a pirate, without the term “eye-patch aficionado” in your search string? The answer is technology that interprets the meaning and intent behind text-based content and social behaviors. More companies like eiTalent will develop algorithms for core values and driving motivators. This will help us determine a better fit on the front end of a search, rather than an assessment right before a hire is made. Not to mention the positive implications of getting a recruitment marketing message *just right* for your targeted prospects. You do want the right people responding, don’t you? As sourcing becomes more of the forefront to talent acquisition, the teams and leadership are being tasked with intelligent checks and balances. I spoke to an industry colleague recently who was looking for a way to verify employment information in a candidate’s resume and social profiles. The reason? A prominent executive was hired with a completely fabricated employment and education history. I’m sure there were hundreds of thousands of dollars…lost. This is another example of one bad apple changing a recruiting process. My recommendation? To leverage ZoomInfo, Hoover’s and social aggregators like Klout and Kred, for the double and triple-check. Sourcing will grab more of the spotlight as recruiters have to tackle research and lead generation. They have plenty of applicants for open reqs, but the appropriately qualified applicants are harder to reach. As candidate generation becomes a necessary skill set, I can see corporate Community Managers turning into Talent Advocates. After all, a good brand knows it has to nurture relationships with clients as well as candidates. Which means blended roles for both marketing and recruiting/sourcing professionals. They are all brand ambassadors and soon those that haven’t admitted so yet, will learn to act accordingly. To truly build a relationship, you have to focus on engagement. Marketers understand this, and build calendars of targeted, relevant content, to start conversations with their prospects. Why? They know that if your messaging is only about the sale, then it will be one-note and turn off the audience quickly. The same is true for recruiting and sourcing. Imagine a world where candidates get invitations to join a passionate network of similarly minded professionals. Not to look at a job or push an agenda, but to talk about what makes their creative or analytical engines purr. That’s engagement. Now imagine that network plugging into their social graph, to determine who they interact with intimately, as well as their professional acquaintances. 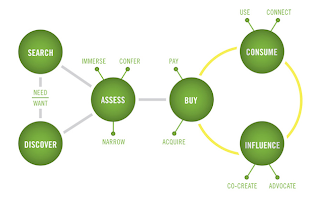 As a sourcer, you will be able to call out specifically who is connected to the right circles of influence in that niche. You will also see who would make an ideal referral, instead of asking the ubiquitous “who do you know?” question. The future of sourcing is indeed social, predictive, and growing by popular demand. And as someone who started my recruiting career as a sourcer, I wouldn’t have it any other way. About Bryan Chaney: Bryan Chaney is a Talent Branding and Attraction Strategist. He most recently led employment branding and social media for corporate recruitment at Aon. Previously, he developed the recruitment marketing arm of a Texas based RPO provider that serves SMB and Fortune clients. He serves on the board of Social Media Breakfast in Austin and founded careerconnects.org, a community event platform, to gather niche recruiting and HR professionals with candidates to share career strategies. The Huffington Post recently named him one of the Top 100 Most Social HR Experts on Twitter. Connect with Bryan for consulting and speaking availability at Bryan Chaney. Another great post Bryan. I think it will be interesting to see how firms like eItalent fit in to the picture a year from now. Thanks Jeremy. I think we will see more focus on the intent and meaning behind social activity as it relates to job function and fit. Right now, any social investigation is purely subjective. Great post Bryan. I am looking forward to see how the upfront soft-skill testing is implemented in the future as well as Talent Brand Community Managers. I feel like there is much resistance to both of these and few statistics supporting the value. Thanks for the feedback Megan. I feel like there aren't many statistics yet because the concept is fairly new (digitally, anyway). When it starts catching on like I think it will, we'll see more analytics to measure the return on community. Thanks again for the eiTalent mention Bryan. As we continue to engage and have conversations with companies (large and small) and influencers like you, Jeremy, etc. it's becoming increasingly clear how important core values are to a company's culture and determining fit. We all know the staggering stats about how many hire/fire decisions are made based on fit, but actionable data needs to accompany these decisions for us to move beyond just gut feel in these areas. The ability to improve recruitment marketing messaging is also exciting and I enjoyed our discussion around that and look forward to more. I really enjoyed this post - and it is nice to think that as a sourcing specialist myself, I recognize a lot of what you have included here as a part of my current responsibilities. For example, I've never really sourced without a CRM, which I do think is an amazing tool. I'm more about engaging with candidates and pipelining, then getting in touch with them regarding job opportunities and I'm also involved in some of the employer branding activities in the team, which I really enjoy. It's an exciting time be be a sourcer and, from what you wrote Bryan, it's only going to get better!